This USA map puzzle teaches kids the geography of the United States. Very detailed puzzle with 500 pieces. The USA puzzle is a detailed puzzle containing about 500 pieces which means that it requires quite a lot of skill to assemble. Based on the manufacturer's recommendation, it is designed for children ages 8 - 15 but being very detailed, even adults can enjoy putting it together. 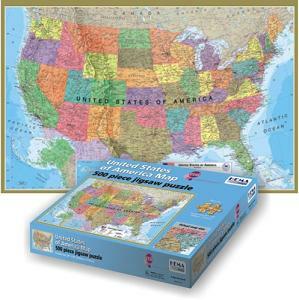 Puzzle are a great way for kids to learn the geography of the United States. By putting the geography puzzle together, kids have to figure out where cities and states are located. For example, they could find a puzzle piece with the city of St Louis. Then as they work on the puzzle, they would have to figure out to which state St Louis belongs and where this state is approximately located? Overall, geography puzzles are a great way to learn geography all while having fun. They are a great way for kids to socialize and work with other kids. Studies have also shown that puzzles can boost children's self-confidence: by working on the USA puzzle, kids manage to solve complicated problems and admire the final result, a beautiful map of the United States. The USA puzzle is quite large. The pieces are thick and sturdy and do not bend easily. The puzzle contains current names of cities, cities that you might have never heard of (which makes it even more challenging), states and other information about the geography of the United States. Once completed, you get a beautiful and detailed map of the United States. You can glue the pieces together and hang the puzzle on a wall. 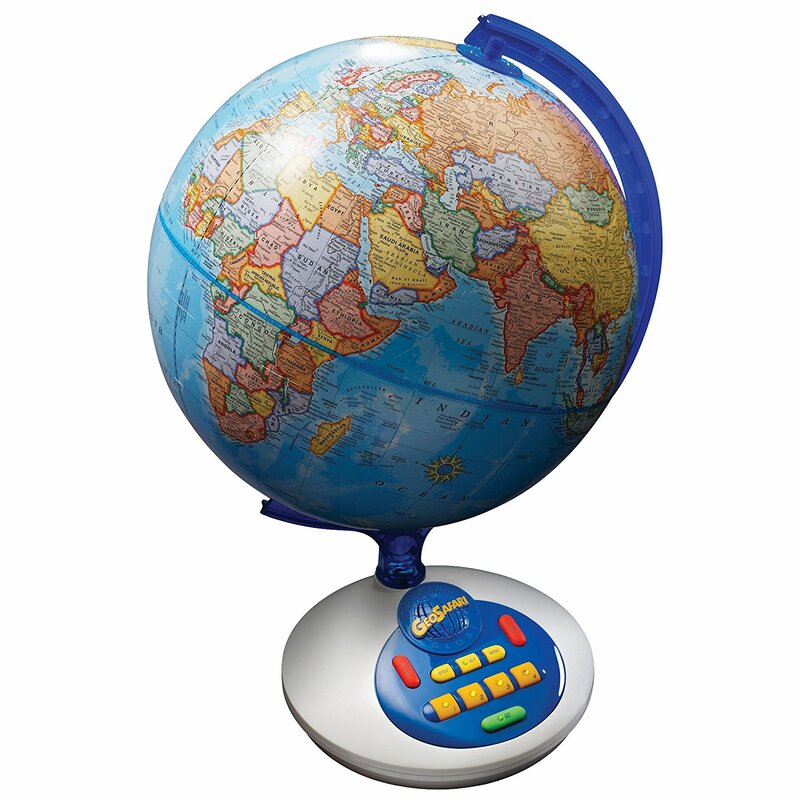 It then becomes a great learning tool for kids trying to memorize the states and capitals. There are many other educational geography puzzles that you can get. For younger children, we also recommend the Melissa & Doug USA puzzle. 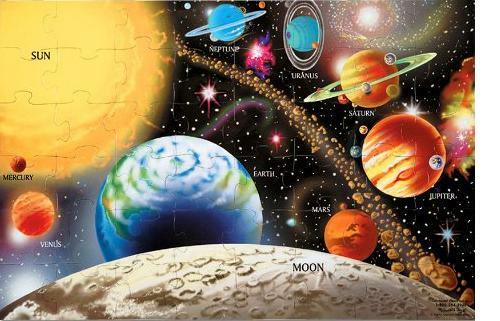 For kids interested in space, we recommend the solar system puzzle which will teach them about the planets in the solar system.